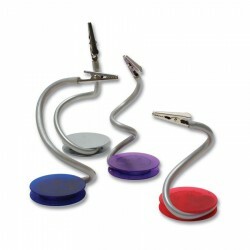 Branded desk accessories make excellent customised marketing products. These promotional office items are not only designed for practical use but also double as advertising tools when branded with your corporate name or logo. Our collection of promo business desk accessories here at ACE showcases a wide array of choices ranging from custom pen holders to budget organisers. Click on the images below to know more about these favourite tradeshow giveaways. 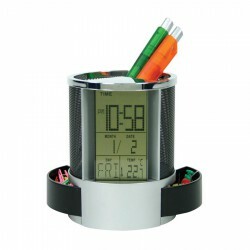 Digital clock with double slot for placing business cards, includes 1 button cell battery. 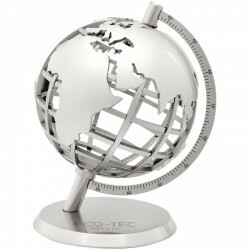 Prove you value your customers by giving them this upmarket rotating globe. 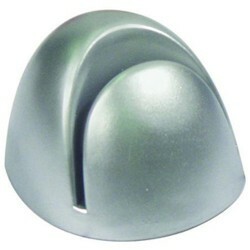 Made from metal, this is a stunning desk accessory or award that will provide years of enjoyment. European inspired design - crafted from solid metal with brushed chrome finish The perfect accompaniment to the perfect pen. 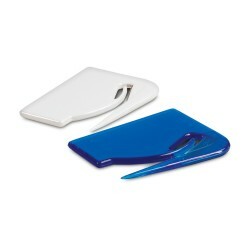 Made in Australia from quality acrylic, this desk organiser is supplied flat packed for easy distribution. 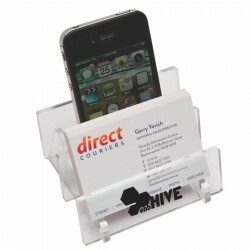 Assemble in seconds to reveal a multi-use stand ideal for business cards and mobile phone. Phone can be charged while on stand and phone and cards can be displayed in a horizontal or vertical position. 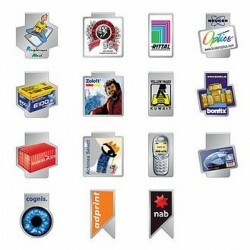 Bizclips are custom printed stainless steel paper clips that are available in a range of shapes. Each clip has great potential for communication exclusive and colourful, these clips demand to be seen. 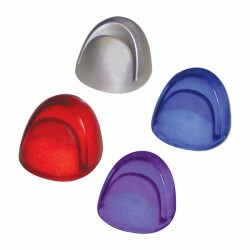 Translucent clip with a strong magnet. 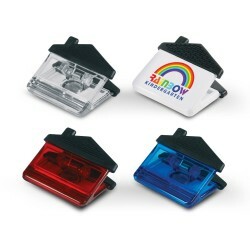 Translucent house shaped clip with a strong magnet. Very effective item for opening letters and courier satchels. Has a metal cutting blade for guaranteed efficiency. Oval metal pen holder with a plastic base. Handy desk top item with push-button pop out drawers for storage, functions include count down timer, alarm clock, calendar and temperature display. Includes battery. Boxed. 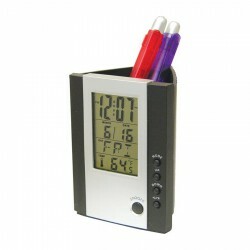 Detachable alarm clock, calendar and thermometer. Pen holder with built in photo frame. Boxed. Mini white board with anti-slip silicone cover displaying temperature or time. Including black colour marker and 1 button cell battery. 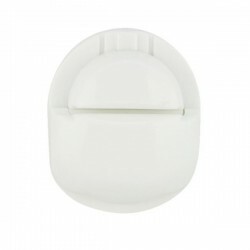 Mini white board with anti-slip silicone cover and timer module. Including black colour marker and 1 button cell battery. 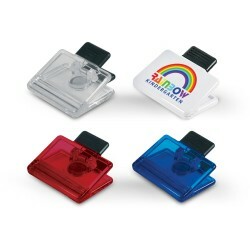 Mini foldable booklight with name card and/or memo holder function. 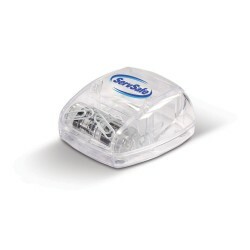 Includes 3 x button cell batteries. Tidy up your desk with this modern design silicone stand. This items can hold your mobile phone, MP3 player, etc. 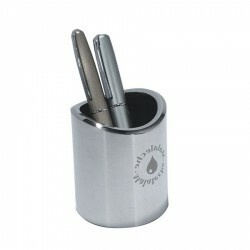 Elegantly designed pen cup holder made from metal with black gloss finish with shiny silver accents. Features: Engraves Silver. All pens sold seperately. Write on, write off surface. Combination whiteboard with marker/eraser and magnets, and Corkboard with pins. Magnetic strips on back, ideal for attaching to steel surfaces. Not suitable for stainless steel. 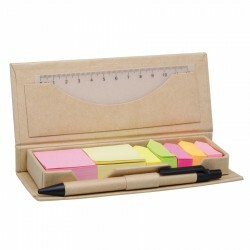 Unbleached cardboard collapsible cardboard pen holder / desk organiser. Microfibre cloth for cleaning screens and eyewear. 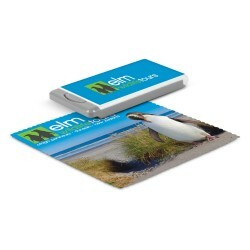 Supplied in a handy case with a large printing area.